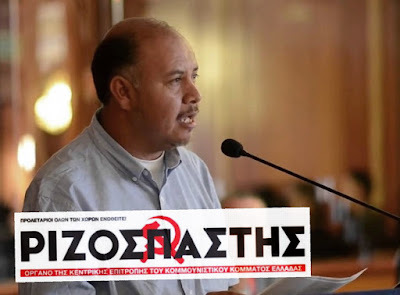 On the occasion of the 20th IMCWP which took place in Athens in November, the First Secretary of the CC of the Communist Party of Mexico (Partido Comunista de Mexico) Pavel Blanco Cabrera talked to “Rizospastis”, the official newspaper of the KKE. 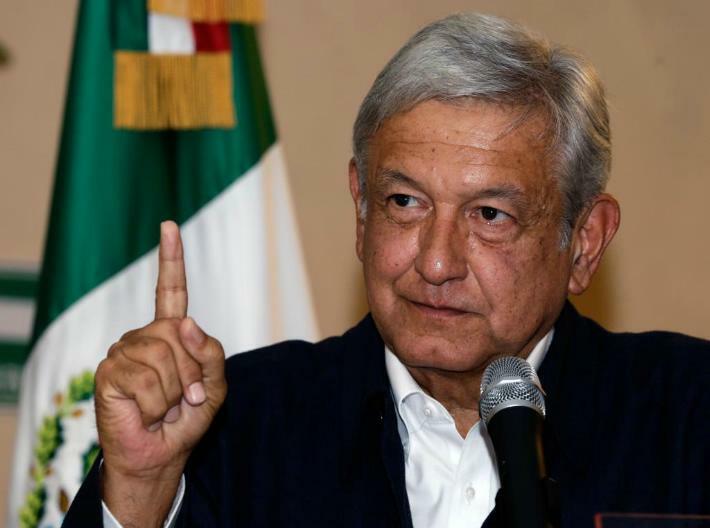 - The bourgeoisie of Mexico managed to trap the majority of the people during the last election and, as of December 1st, the new social democratic government of Andres Manuel Lopez Obrador has assumed office. What does the CP of Mexico expect from the new government which presents itself as “left-wing”? - First of all we thank “Rizospastis”, organ of the CC of the KKE, for the opportunity to convey some of the thoughts and activities of the CP of Mexico and to clarify certain confusions and deceptive news spread outside Mexico regarding what is happening in the country and how the class struggle evolves. 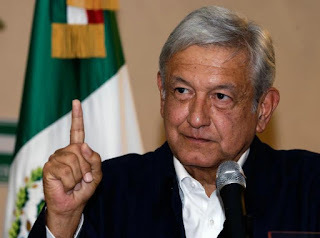 In fact, the result of the presidential and parliamentary elections of July 1st, where the absolute winner was the so-called MORENA movement, Obrador presents it as “a victory of the Left”. But that's not the case at all. Of course, we need to look deeper the significance and the character of this type of governments and how they serve the interests of the capital, whether they are called “left” or social democratic are part of the authority and the dictatorship of the bourgeoisie. The programme and the alliance of this specific party include a far-right party, the so-called Social Encounter Party, which contributed to Obrador's electoral victory and has a clearly anti-worker, anti-people character. The first thing that this government does is managing capitalism and deepening the so-called reforms in certain areas where the neoliberal governments didn't proceed, for example in the North American Free Trade Agreement (TLCAN) – which is now called US-Mexico-Canada Agreement (USMCA) – or in the Merida Initiative, which has been asked for years by the South Command of the U.S. Army through the National Guard. [These are] Tough measures which reduce the labor power value and provide two key issues: 1) Mechanisms of repression and control of social protest and 2) re-legitimation of the state and the dominance of the bourgeoisie, supposedly with a democratic mask. It is very interesting how the renegotation of the Free Trade Agreement took place, where the government of Peña Nieto was in fact overriden and the discussions were made directly with Obrador, who had not yet taken up his duties. The text of the new agreement is not fully known, it is in the legislature, but it is clear that it was mainly caused by the needs of the U.S. automobile industry inder Trump and because the spare parts from China, which dominated the market, were coming from Mexico. This is an approach between Obrador and Trump who apply the so-called national-state protectionism. In other respects, this will be a follow-up to the attacks in the rights and the achievements of the working class as a whole in North America as well as new privileged for the monopoly groups of Mexico, the US and Canada. It is regrettable that various forces in the world believe that there is a “left turn” in Mexico. They will be utterly refuted, as it happened in the case of SYRIZA in Greece. Neoliberals and social democrats govern for the interests of the monopolies, with intensification of the exploitation, with barbarity and people's misery. The CP of Mexico will not be trapped in the fake dilemma between the one or the other mix of capitalist management but, on the contrary, despite the difficulties, it highlights with optimism that socialism-communism is the necessary way for the solution of the huge problems in our country and the solution so that the working class will stop suffering. Andres Manuel Lopez Obrador (AMLO). - What are the fronts that the CP of Mexico prioritises in the activity it develops within the working class and the ther exploited popular strata? - Last August we held the 6th Party Congress and decided to set all our forces to action within the working class, in the trade union work, in the work with young workers and women of the working class. An important issue regarding young working people: Obrador has made agreements with the employers' unions, which unify almost all the monopoly groups of the country, and makes a proposal for supposedly tackling unemployment that is really very dangerous: He suggest 2 million young people to work for the various monopolies, with the salary covered from the state budget, that is as a subsidy to the employers. These are, of course, part-time jobs, without rights, without social security, without allowances and days off. This is a barbaric measure of reducing the price of labour power which contributes to the superprofits of the capital. At the same time, he [Obrador] tries to integrate these 2 million workers both in MORENA and the new government. Going back to the issue of the tasks of the CP of Mexico, as a party of the working class, it is clear to us that the proletariat is the class which will pull forward the revolutionary process and, for that reason, our first task is to organize it politically and within trade unions. On the issue of working women we have made steps forward, adopting the basic position regarding woman's emancipation, which will not come with the so-called feminism but by highlighting the class nature of the problem. We are working in such a way so that at the end of 2019 we will be capable to organize a large trade unionist meeting of labor unions, organizations, workers and trade unionists from various sectors, in order to create a strong militant rally with a stable class orientation, for the organization of the clash with the capital, in every workplace and then through the concentration of forces to go through a period of development of the workers' struggle. Also, a priority for us is to intervene to migrant workers, both within Mexicans who live in the US (around 10 million) as well as in other nationalities living in our country. - What are the difficulties that the Party encounters in this effort? What distinguised positive steps have been made? The difficulties are various, but we have to deal with them, because it is an absolute necessity for a strong Communist Party to carry out the revolutionary tasks. The first difficulty is related to the organization of the workers' trade union movement, this is the “Achilles heel”, not only for the CP of Mexico but for the working class as a whole for many decades. This issue requires ideological intervention and we are now able to intervene in a better way. We have a well-developing Communist Youth which interferes within the studying youth. In general terms, the 60th Congress dealed with the basic difficulty which is related to the massification of the Party's intervention in the working class, the popular strata, of the ideological, political and organizational intervention in the daily struggles associated with the historical revolutionary goals. 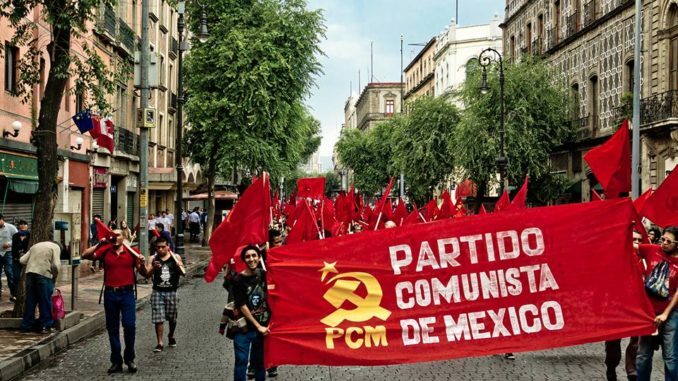 Also, in 2019, it is the 100th anniversary of the founding of the Mexican Department of the Communist International and we are committed towards our own History: The Communists, the Communist Party, is the revolutionary force which will change Mexico and, as we declared in our demonstrations on December 1st, the day Obrador was sworn in, against the anti-people measures that are coming: Without a workers' power there can be no real change.